Discussion in 'Audio & Video' started by gsm, Jan 11, 2008. This is one way for those of us that wish to have rear speakers in a regular / Std. cab Taco. And with no drilling, cutting into any part (except 1 factory ground wire connector swapped out). 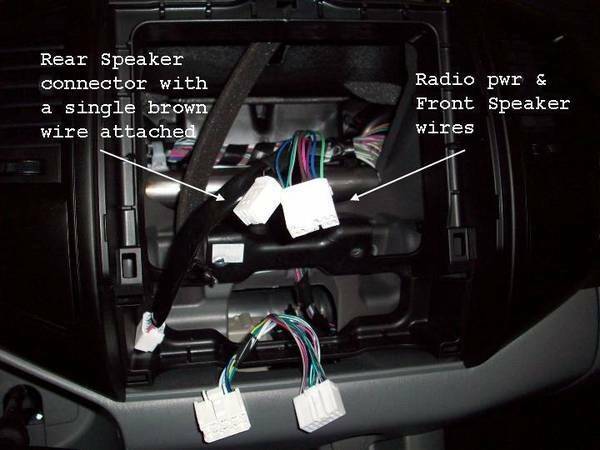 Furthermore, connections rear speakers for those with the factory CD/Radio. Disclaimer of course! Do not attempt any electrical work if you aren’t confident in your abilities. Any work you perform is at your own risk. BUT with that being said, I believe you will see that there isn’t much to this. The most time consuming part is the construction of the rear speaker boxes. There 007 describes how to remove the factory radio. 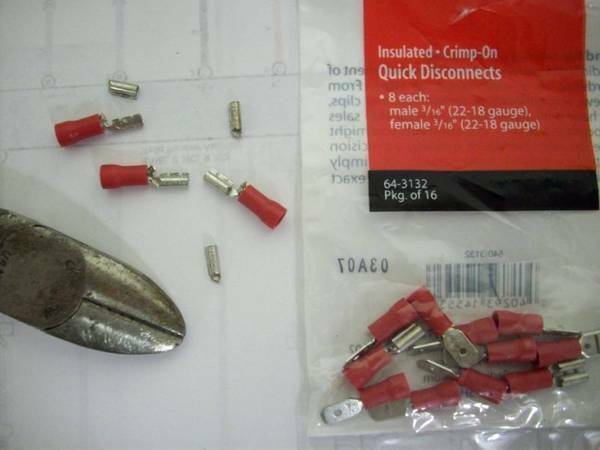 This is needed in order to wire the speaker wire for the rear speakers. Takes about 10 minutes to remove, 5 if you aren’t over the hill like I am! 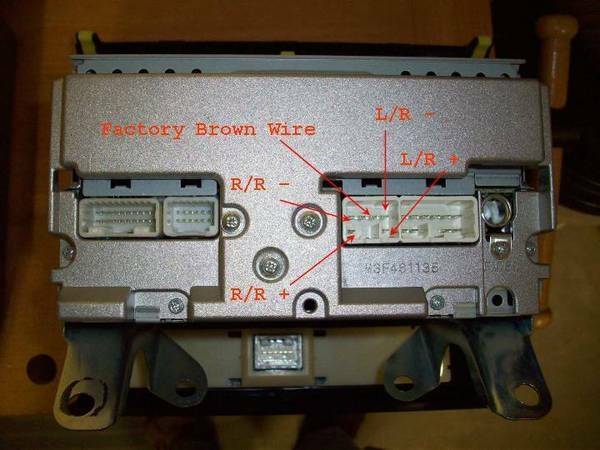 The smaller square connector that came from the back of the radio is for the rear speakers to connect (see picture below). 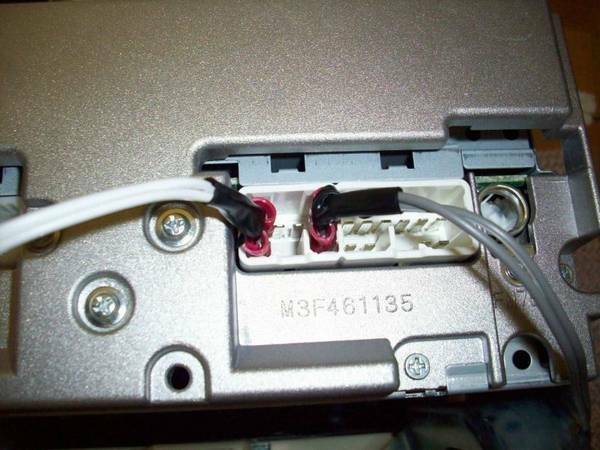 Unfortunately for me I was unable to locate locally the inserts for me to feed the speaker wire into this connector. From the factory there was a single dark brown wire (ground I believe from my research) on this connector. 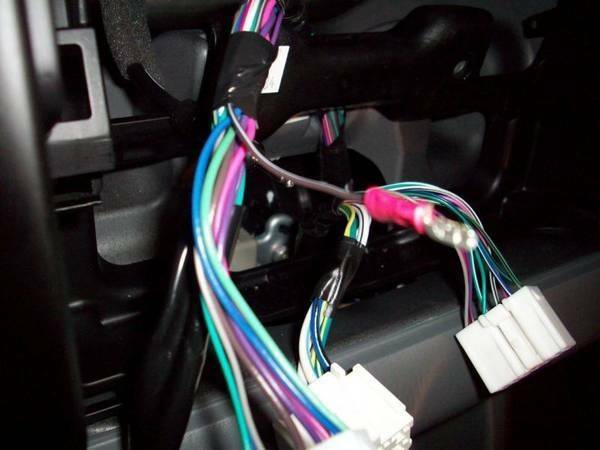 I had to modify how to connect that brown wire and the rear speaker wires to the tabs from behind the radio. 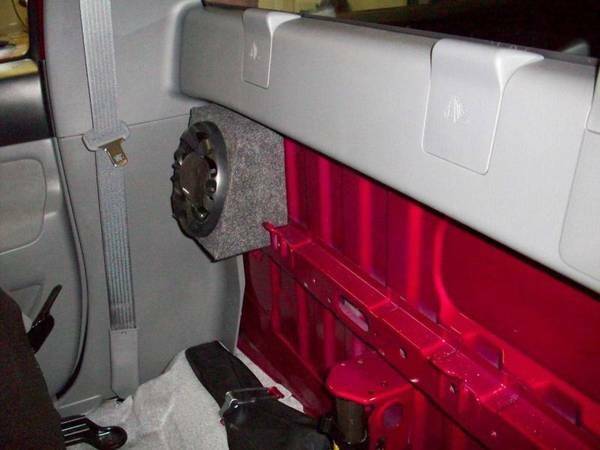 I then ran the speaker wires through the inside of the dash, down behind the kick panels, under the door thresholds and up behind the rear quarter panels to the back bulkhead on each side. No pictures I felt was needed of this and you could just run the wires under the carpet if you so desired. Finding and deciding on a location for the rear speakers was hard for me. Ideally I wanted to locate them in the rear quarter panels facing inward for best appearance and sound. But that would have meant not only cutting into the plastic quarter panel cover – but a lot of metal behind that panel. Not to mention dealing with the seat belt running behind that panel. To build the boxes I used 1/4” craft plywood (12x24) from a local craft store. The 6 ½” speakers I chose were going to need a 7 ¼” square face which required me to make a step on the lower back of the box for the bulkhead railing. To hopefully help in sound, on the inboard side wall of each box I bored two large holes so hopefully sound will pass through the felt towards the other side of the cab rather than all forward. After building the boxes I sprayed them with adhesive and covered them in felt. End result. Sounds great and big improvement over factory setup! 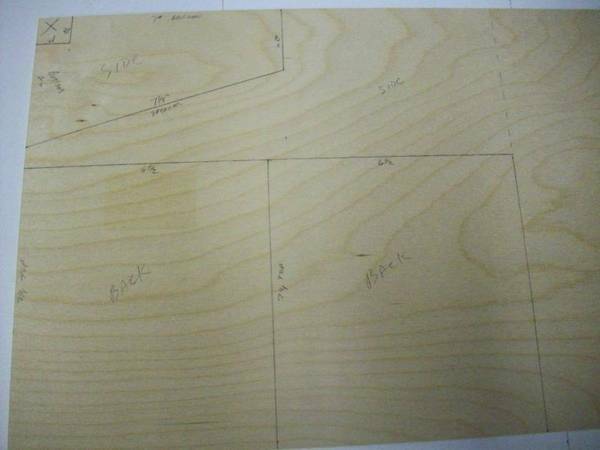 First I took measurements for my particular speakers and marked the plywood to cut the pieces out. I initially went with the back of the box and sides. 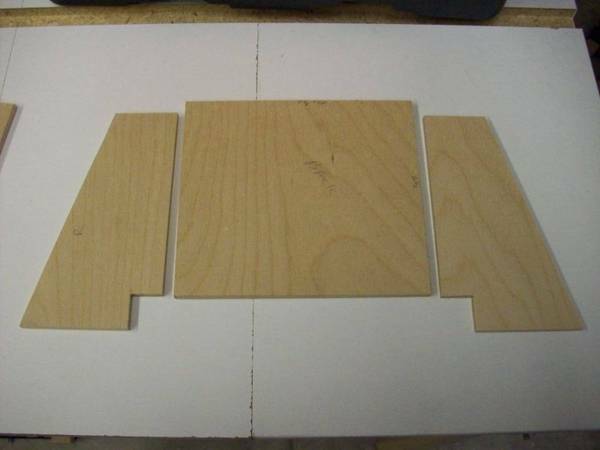 The top, bottom and face will be cut out after I put the back and sides together to ensure what size they need to be. Not a square box, so I took the measurements from here as I went. 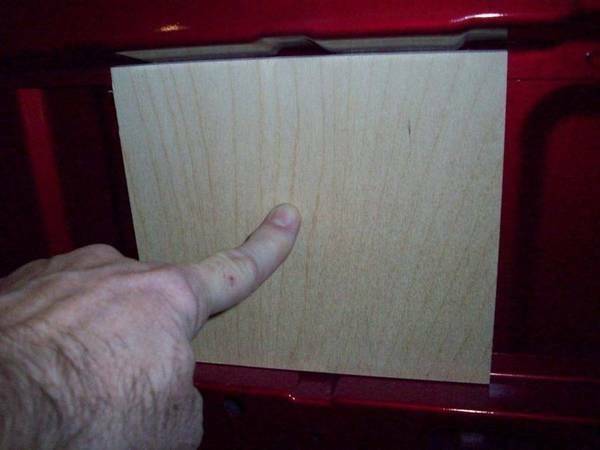 The notch above on the sides is for the bulkhead railing, that notch also permits the speaker wire to run inside of the box staying concealed inside the bulkhead railing. You can also notice that the sided do not go all the way to the top of the back board. That is because I left ½” for a lip to sit behind the top plastic cap that snaps on the top rail (just below the back window) to also help secure the box to the balkhead. Two ¼ x 1 1/8 ply strips to secure each box to. This was a test fit. 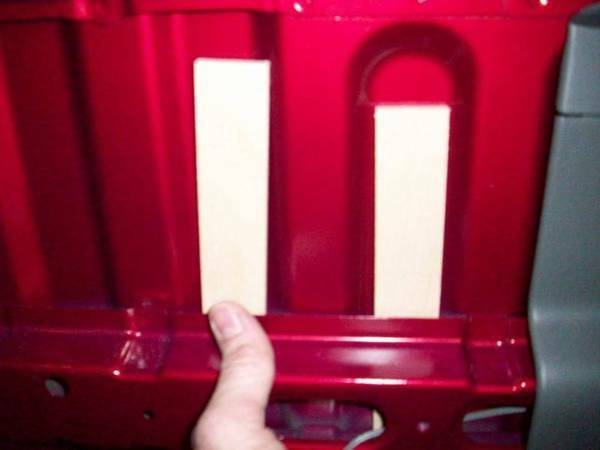 The inboard strip slides up and behind the top and bottom rail while the inboard (right in this picture) strip only remains behind the lower rail. I taped each strip into place and place the back of the speaker box on top. There I marked and drill a small pilot hole through the back board of the box and made a mark in the strips behind it for reference. 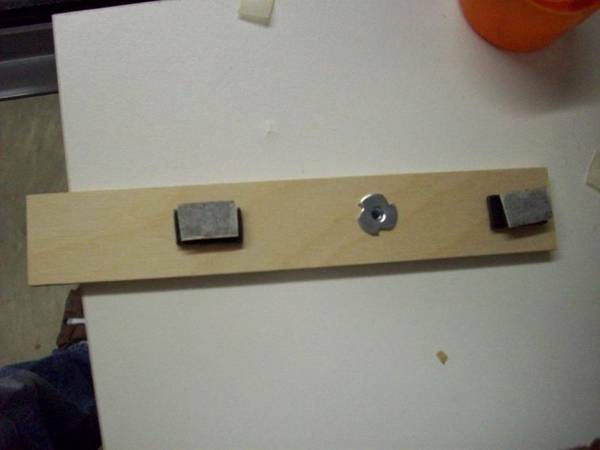 I then took the strips and drill them at the mark made from above and inserted a T-nut. The black foam sealer tape (like that used to seal camper shells) is used to apply pressure from the bulkhead while attempting to screw the box to it. I then assemble the box leaving the speaker out till after mounting. Lining up the holes through the back of the speaker box to bolt into the t-nuts was a little awkward. But the end result is a sturdy connection and well worth it. 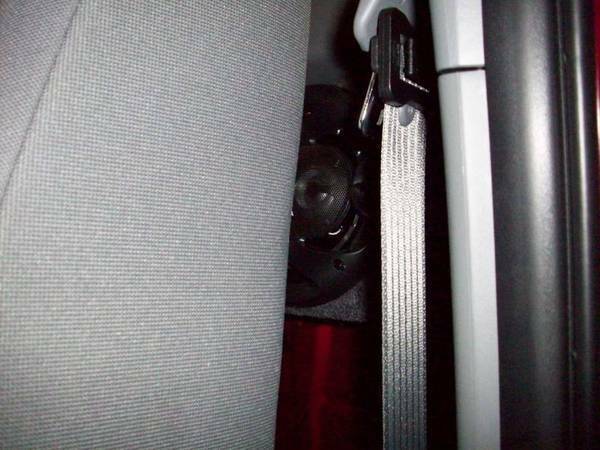 This is just one of an endless number of ways to install a speaker behind the seat in a regular cab. If questions arise and more clarity is needed I will be more than happy to edit or reply. 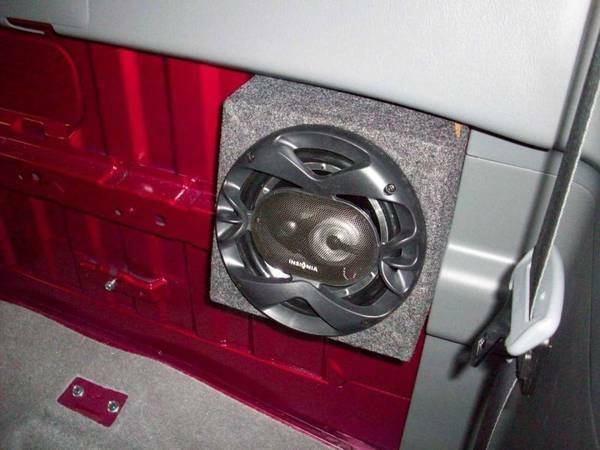 Hope this helps out the other standard cab Taco owners out there that are interested in rear speakers! Hey Phantom, glad to hear it all went well and congrats! If you have the time post pics of your speakers/enclosures or part numbers in case others may want to go that way. Hows it sound? It's made the difference of night and day in my Regular Cab. Hey Phantom looks great guy. Glad it all worked out. tints,venvisors,low pro toolbox, readylift sst ,afe pro dry,dynomax muffler,sec air filter removed. jvc aresenal, with rear jvc 6x9's front blaupunkts. Start at the beginning of the thread and you will see the second photo lists where the brown wire attaches to. It also explains that I couldn't locate the pins to wire the speakers to the factory connector so I came up with a solution for me - Read the first post of the thread it goes into detail. Great looking job! The larger speakers/boxes look good back there and I bet it sounds 100% better as well. I'm sure others will be needing your Magic Pins part numbers so I'll reference them up top. Received you PM, check your messages. Will be a few days till I get back home, I'll post what I find as I don't remember how I accomplished this myself. Center worthless seat belt was the first to go nearly a year ago. does anybody know the size speakers for just the front speakers?? You did a great job with your rear speakers. When I use the fader control on the factory radio does that mean it is simply going from the speakers in the bottom of the door to the little ones on the top? I never really took the time to look but I assumed it came with four speakers even though they are close together. What a good idea you had.